In een heel vroeg stadium van dit weblog, op 23 okt. 2007, had ik een blog over "Bertrand Russell en Benedictus de Spinoza." 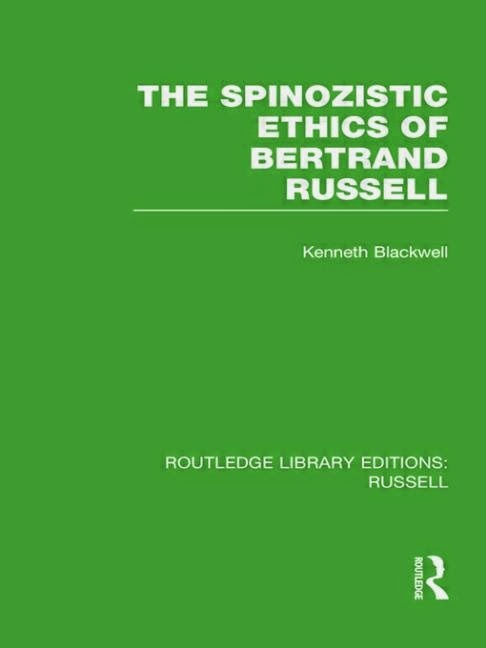 Kenneth Blackwell considers Russell’s writings on ethics and metaethics and uncovers the conceptual unity in Russell’s normative ethic. He traces that unity to the influence of Spinoza’s central ethical concept, the ‘intellectual love of God’, and then evaluates the ethic which he terms ‘impersonal self-enlargement’. Enfin, dit geef ik hier graag even door voor wie meer hierover wil bestuderen.